Requests for roads submitted, the dogs will be captured, Wilson calls Sussex farm country. I say it’s changing and we all need to adjust. A rollicking introduction to the Sussex county council and we’ve got opinions to share. It’s been a while since the Sussex county council had a good down-to-earth meeting and on this day they did and as a citizen it was good to listen to. For the discussion involved mostly Sussex county roads and the need for money from Delaware’s infamous transportation fund which is handled so badly it should be illegal. Councilman Rob Arlett even made a snarky comment about $40 million bucks being stolen from the state’s transportation fund. The speaker, a representative of DELDOT I think but at times it gets confusing watching all this on a computer, said that the funds which were NOT re-deposited into the transportation fund to replace funds taken from the transportation fund to replenish the general fund….were not, technically, part of the transportation fund. I know, yon reader, that’s a mess of words but it’s what she said. Seems the $40 million came from property fund and that money fell out of heaven so was not due to the transportation fund. Whatever, the county prepared a very good presentation for taking back to DELDOT that it knows what Sussex county needs in terms of road improvements. Sussex County is Delaware’s largest county, with 938 square miles of land within its borders. Within that broad expanse is more than 37 percent of the State’s6,281milesofpublicroadway. 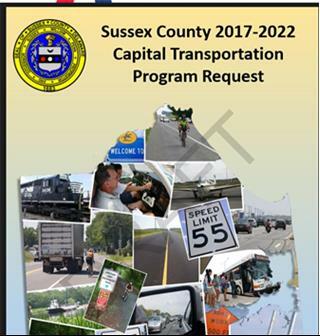 In Sussex County, the most heavily traveled roadways are US 13 and SR 1 (each carrying more than 30,000 vehicles daily), followed by US 113withmore than 24,000 vehicles daily. At the same time, the major east-west routes also are heavily traveled, though these are less capable of extensive traffic. Congestion due to the movement of summer visitors often compounds traffic problems. Sussex has 37% of Delaware’s roadways yet New Castle gets all the money. I admire that Arlett got in some snark about stealing and other comments were made by various council people about Sussex county always getting cheated by the state of Delaware. An additional suggestion to improving mobility is to incorporate blinking red arrow, left-turn signals at key intersections. This type of signal, found in areas of Kent and New Castle counties, could ease congestion at Sussex intersections, such as thosealongSR1,US9,US13andUS113. In line with this same sort of thing, seems the airport is now called Delaware Coastal airport, a name I really like by the way, and they need runways extended, etc. And Park Ave, also known as alternate truck Route 9, is going to need to be moved, twisted and adjusted to make way for a larger runway. So that was discussed and by the end of all this I was rather delighted because all these roads are traversed regularly by me, which makes me a fine, fine scribe of the people as I live and ride their roads. Or something. Insert smirk here. So Route 9 is being fixed and hand to God DELDOT did a great job of widening the roads by the Dairy Farm, re-paving the thing, adding shoulders. I can’t go anywhere without going on Route 9 and yeah I piss and moan when I am even microscopically inconvenienced, as is my wont and right as a Sussex county citizen. But the truth is Route 9 be looking real good. And it was done with very little inconvenience, kudos to DELDOT….tell them and the contractors about their good work. And the Route 5 Harbeson thing is working out real nice too. We got left turn lights and everything where there used to be only cows. Route 1 is….well it’s Route 1. And we have more tourons (touron-tourist and moron) getting hit and killed on Rt. 1 than Ocean City I think. Still and so now that we can cross that big bridge going south without fear of plunging into the waters below, it’s a right nice ride. As for Park Ave….Lord that is a dangerous road. It snakes all over the place, in and out, in the dark, and in a snow storm it does that thing where the snow blows over the road till it looks like part of the land. I think they ought to rip that thing out and put in an entirely new road though I don’t know how they’d do that. Now if they could just make Delaware drivers go, cautiously, around a left-turning car, much of our traffic snarls could be banished. The council discussed yet another topic which caught my ear. Because I have been involved with Animal control around these parts, variously, of late, and watch what’s going on in that front. For I have all sorts of rescue dogs and cats from the Georgetown shelter, ran and managed now by the First State Animal Care Center. If yon reader did not know, this First State Animal Care Center has a contract to run Sussex county’s animal control program until the end of this year, when the state of Delaware will take over animal control in Sussex. While Sussex county had a contract with First State Animal Care Center until the end of this year, for some reason that company declared that it would not be fulfilling that contract with Sussex county. Which is violation of a contract as I see it but the more immediate problem was taking care of loose and abused dogs and cats in the interim until the state took over. Would Joan Deaver need a net to go catching feral cats? Could George Cole chase a pit bull and capture to put it safely in a cage? Sam Wilson would be assigned capturing all loose cattle. Anyway, through the miracle of the Sussex county liaison on these things, First State Animal Care Center will be handling Sussex county’s animal control problem to year end when the state takes over. And Lord when the state of Delaware becomes responsible for animal control it will be a nightmare. But we’ll deal with it then. 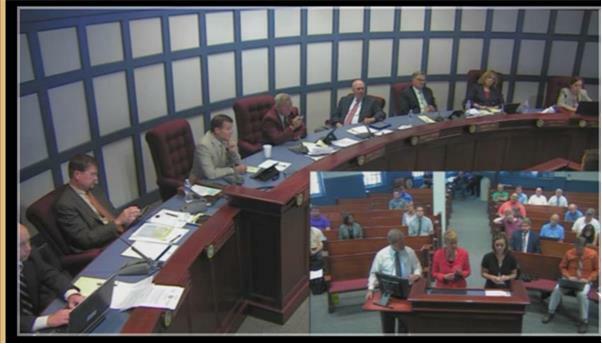 I enjoyed listening to the Sussex county council session today. Time for them to get serious and it appears that they are. Sam Wilson made a comment that Sussex county was all about farming and I smiled out here in la-la land. I’m not so sure about that Sam, but we shall see. NEXT : Going out of order a bit. Will be reporting on the Sussex GOP meeting the night of 9/14/15, which went fine, better than fine. But stuff happened and next column we’ll be talking about it. 4 Comments on "What’s Going on With the Sussex County Council? Come on In for the Scoop-The 9/15/15 Edition"
Sussex County councilmen mostly from the western side have always used the old government is the enemy ruse to get themselves elected demonizing the the state and federal gov. They could have been leveraging money and cooperation and gotten a lot more. (Lord give me strength) That is the Secretary of DelDOT, Jennifer Cohan, speaking. 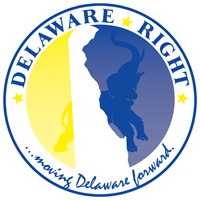 The reason NCC “gets all of the money” is because that’s where the vast majority of Delaware’s citizens live. And while roads leading to the beach may be a mess from June to September, virtually every road leading into Wilmington is a parking lot every weekday during the two rush hours all year long. It’s not just that Lindsey… it is also a matter of miles traveled, and the types of roads. There are six bridges over the Brandywine, quite a few over the Christiana, and then more bridges across the Red Clay and White Clay creeks, Naamans Run, Brandywine Creek and a lot of smaller creeks and runs. Aside from the inlet, there is not much more than a few culverts down there. …and lest we forget… how many miles of interstate do they have down there?